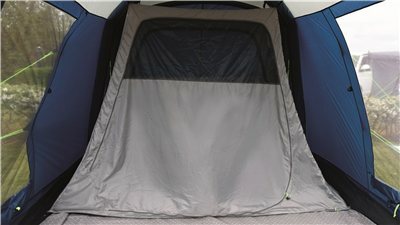 An Outwell Inner is the easy way to add a bedroom to your Milestone Awning. The inner quickly toggles into place to fit snuggly into your awning, without wasting space. Ideal for visiting guests or growing children, the inner offers a private sleeping area for up to two people. Compatible with all Milestone Driveaway Awnings.